SFTP stand for SSH File Transfer Protocol or Secure File Transfer Protocol. SFTP is used to get files too and from your Onyx site's storage. You will need to use the details you obtain from following this guide with your chosen FTP Client software. 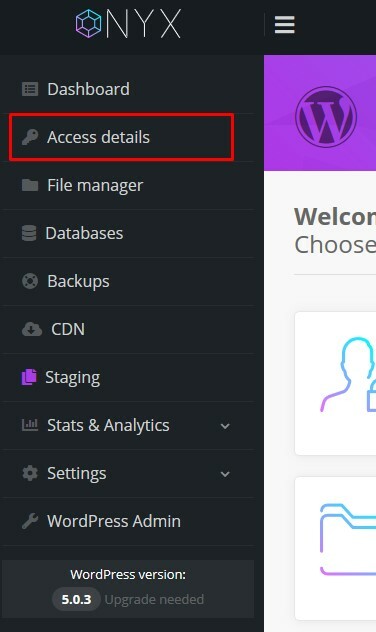 This guide shows to access all the details required to access your sites files via SFTP. These same details are also used to access your site via SSH. At the end of this article we have two video guides; one that shows all these steps, and also includes a walk-through of setting up Filezilla - a free FTP client, and a second that walks you through getting connected via SSH. You'll see a green confirmation banner along the top confirming that SSH is being configured for your site. 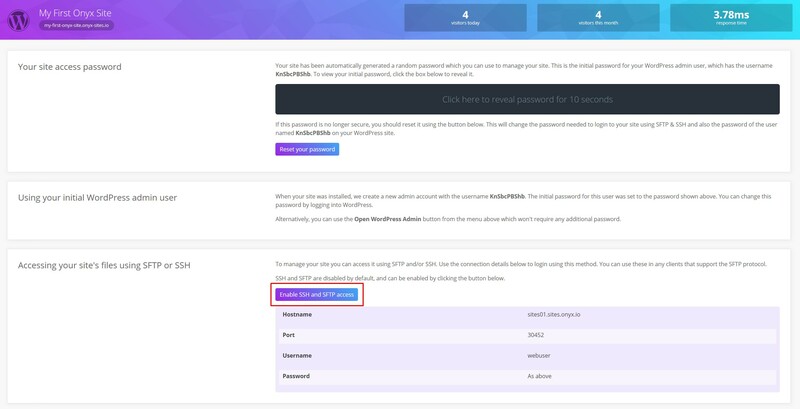 You've now enabled SHH and SFTP access for this site, and you have all the details you'll need to configure your chosen FTP client.